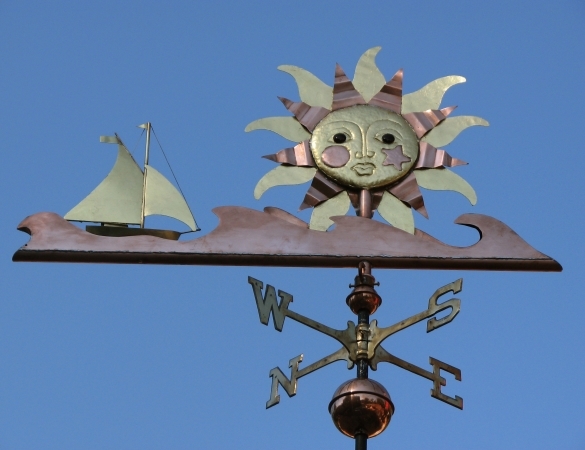 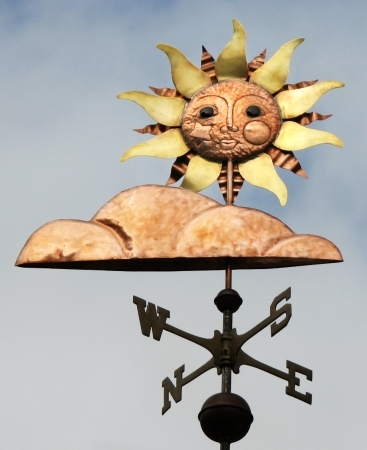 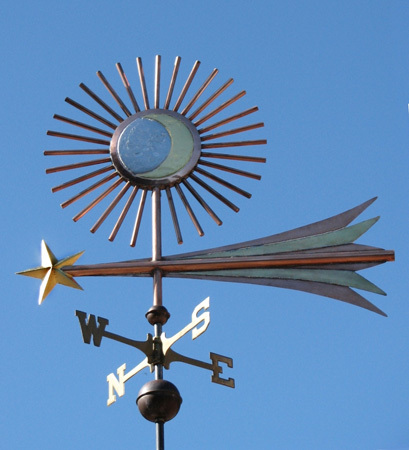 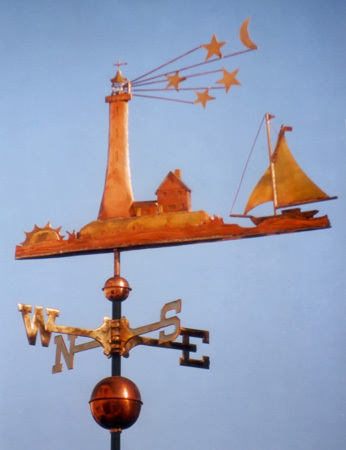 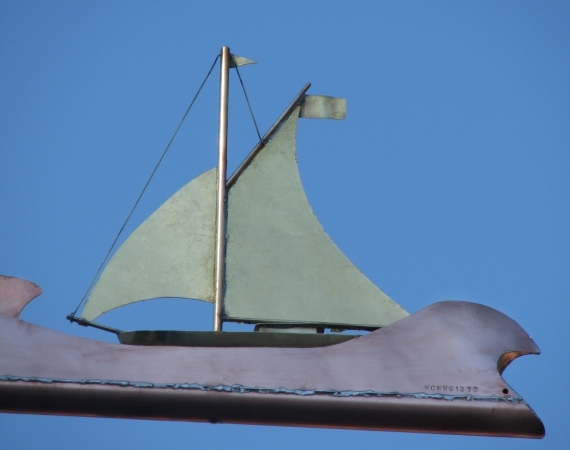 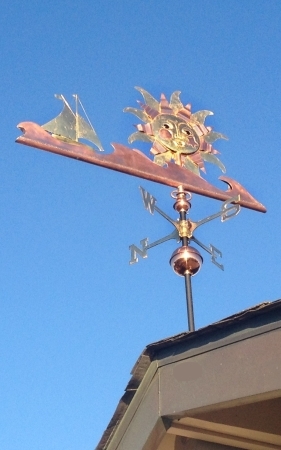 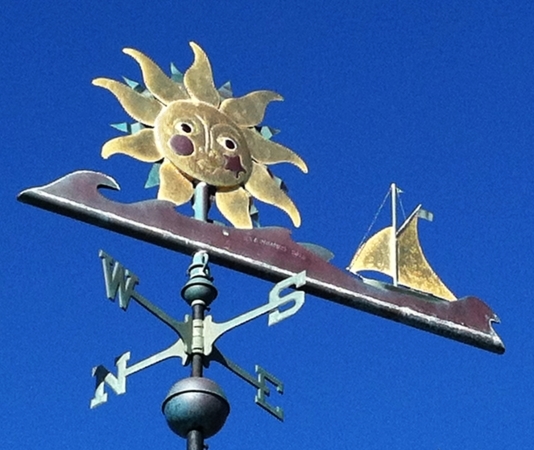 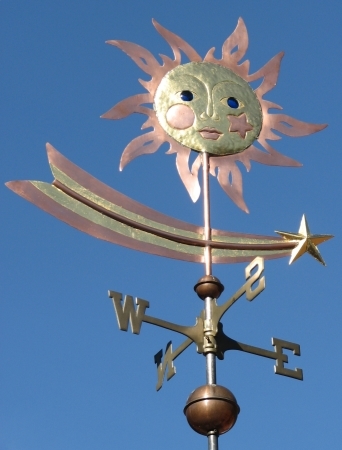 We love the design we worked up with our customers for this Sun and Surf Weathervane with Sailboat. 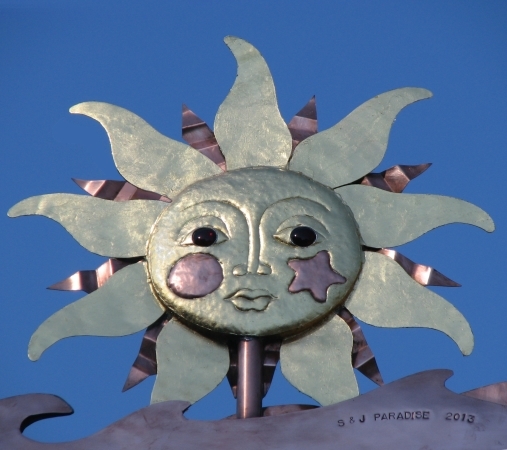 It is a combination of several classic elements and metals, and has so many possibilities for individualizing. 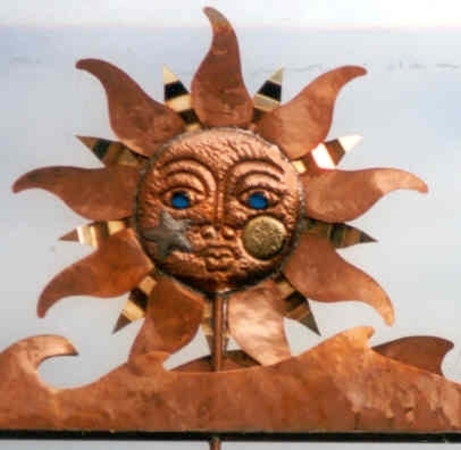 The mirror image sun faces are fabricated of copper in swell-bodied style, while the rays, waves, and sailboat are silhouette style and a mix of copper and brass. 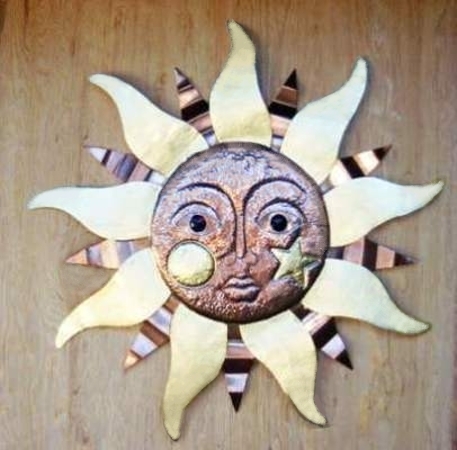 When you order this piece you will select the glass eye colors for each side of the mirrored faces. 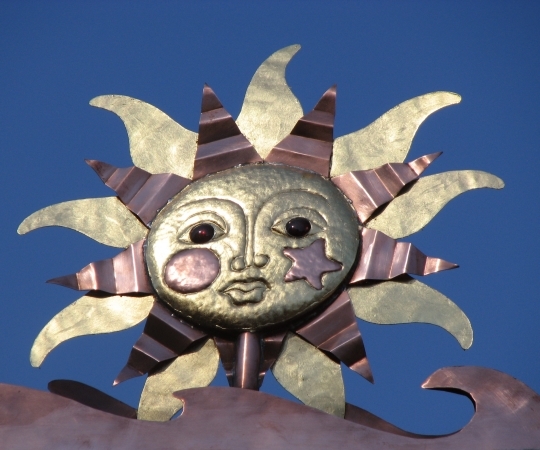 At that time you would also choose the metals for the silhouette elements and any optional gold or palladium leafing you may want to include. 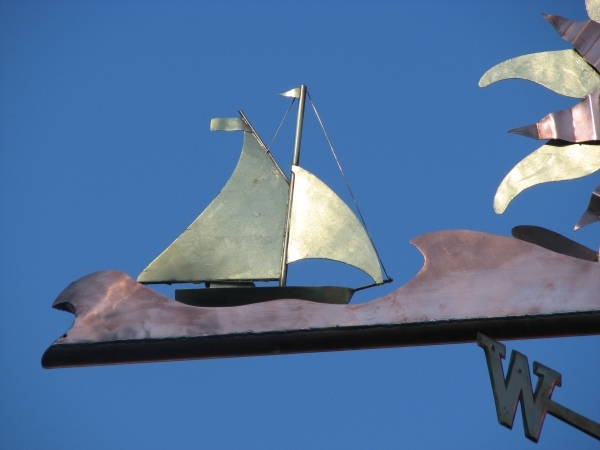 This non-ferrous metal gilding creates a bright contrast that will remain for many years as the copper and brass of your vane weather into chocolate shades of brown. 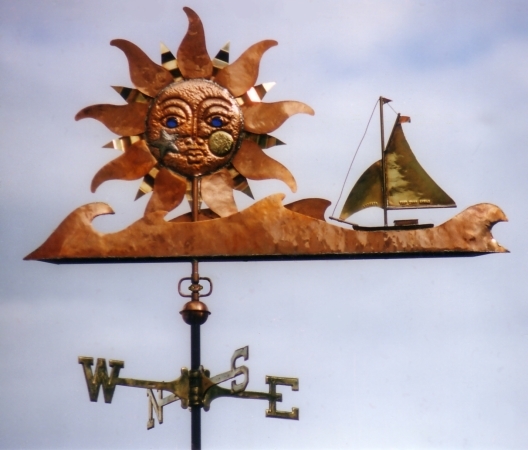 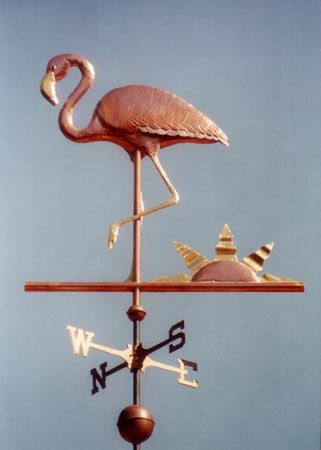 The pictures above are of two different weather vanes and illustrate well some of the options, and how the copper and brass will age over time.